Combination of green wall, pillars and tables (made of plain wood). 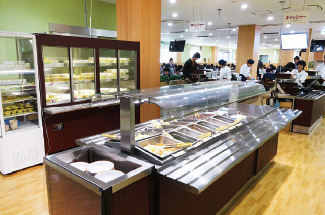 The lighting creates a natural atmosphere in the dining hall. 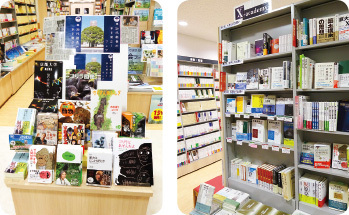 Students can use the multipurpose hall on the left of the store from 11:00 until 21:30. 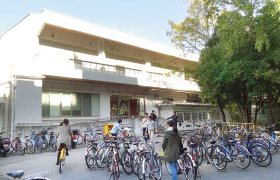 Co-op North Building is located in the northern area of Kyoto University’s main campus. It was built 40 years ago and after undergoing a renovation for earthquake-resistant structures, it was reopened in May 2014. The building is surrounded by natural sciences-related research facilities, such as Faculty of Science and Faculty of Agriculture buildings. It is also close to the athletic field, which made it the center of club and group activities. Dining hall is located on the first floor, while general store as well as multi-purpose hall (eating space, place for social gatherings, etc.) are located on the second floor. The number of seat increased from 438 to 511 seats. The building underwent an improvement, e.g. digital signage, LED lighting, audio equipment, etc. The kitchen now has rice cooker robot machine and soup maker robot machine, so the working environment has also been improved. 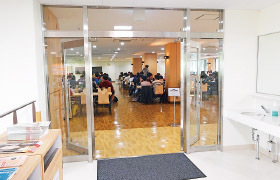 Around 70% of its users are graduate students and faculty, and the share index (population of the area : co-op users) is around 70% both during the day and night. Initially the target number of customers was not satisfactory, but after October the users came back and it has achieved the desired target number. 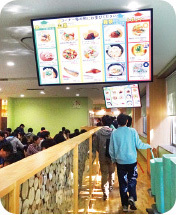 Users can order food to be cooked at the Chinese wok range (a stove which integrates burner for fried food, soup, boiled food), which is used to create popular food. 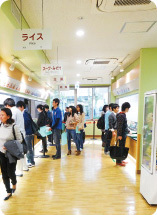 Students take food from the food counters. 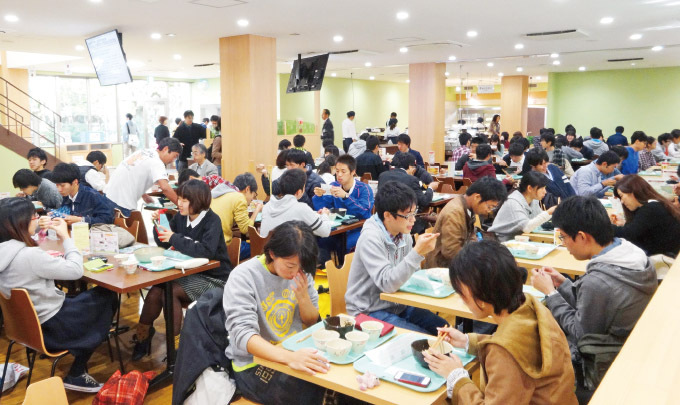 Then students take food in small bowls or salad bar, and pay the food. 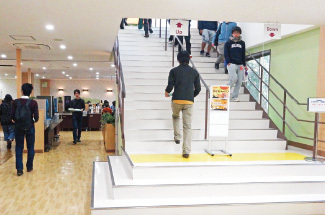 A partition is installed on the stairs to avoid congestion. Store and multipurpose hall are located on the second floor. Information are displayed on digital signage. 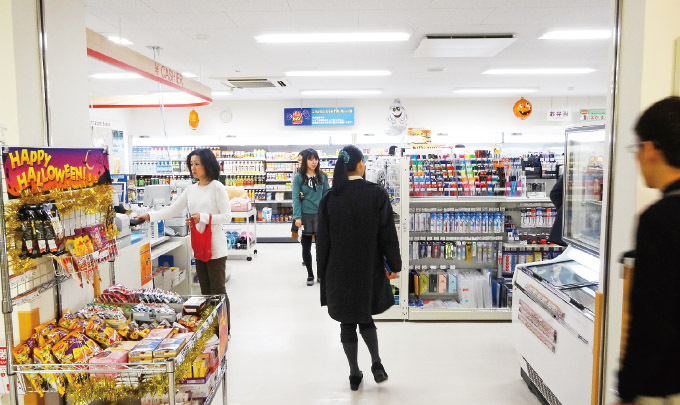 Products are displayed to make it easy for customers to understand. 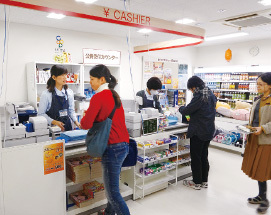 Cashier is on the left near the entrance.